Oyster season is here, so that calls for a blog post! Let&apos;s just stop here for a minute, because I can&apos;t even fake this one - I didn&apos;t even know there was a real oyster season until about twenty minutes ago. Honestly, I thought oysters were a year round thing. 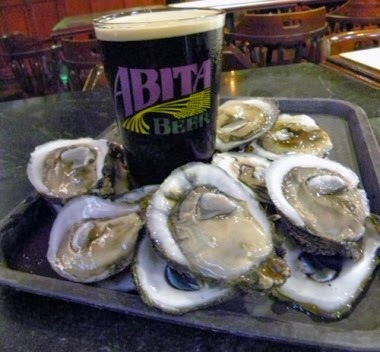 Being a born a raised Baton Rouge oyster lover, I can&apos;t ever remember a time when they weren&apos;t just an order away - (except post Oil Spill, but those are dark times that I would prefer not to reflect on.) I&apos;m a little ashamed, but now I have the whole scoop on "oyster season" and the old adage that sets it in place. So word on the street is that the best time to buy oysters is in months that end with the letter "R": September, October, November & December. So why only in months that end with R? Well, according to my research and the good people over at about.com this adage came from the days before refrigeration when oysters could quickly spoil. Ah Ha! At least now I have the excuse that the saying is antiquated and I therefore did not know about the oysters in the months ending with R business because it really doesn&apos;t apply anymore. However, I did keep digging and turns out that there is a good reason to stick to colder months for oyster dishes after all, particularly when eating raw oysters. Oysters spawn in the warm summer months, usually May through August. (Louisiana Gulf oysters can spawn year-round due to the warm waters.) Spawning makes the oysters fatty, watery, soft, and less flavorful. In the cooler, non-spawning months oysters have a lean, firm texture and bright seafood flavor. I am all about the latter of the two. 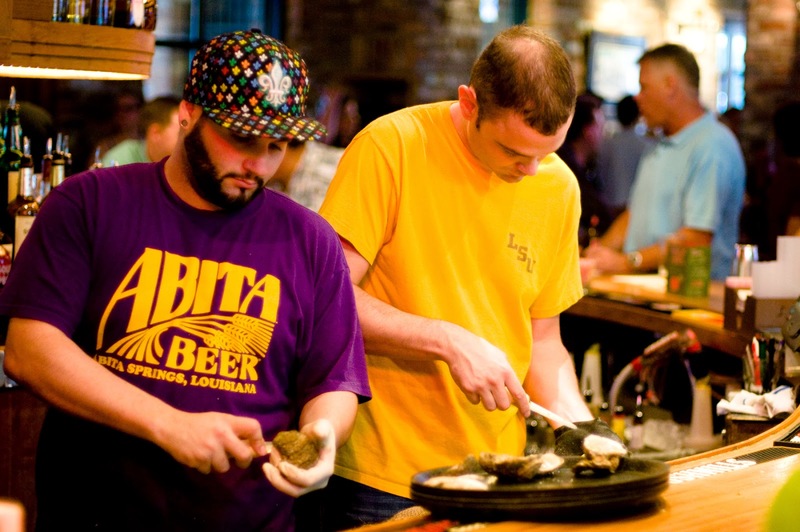 That being said, you can still find great oysters year round in Baton Rouge. I am completely and totally hooked on fried oysters. 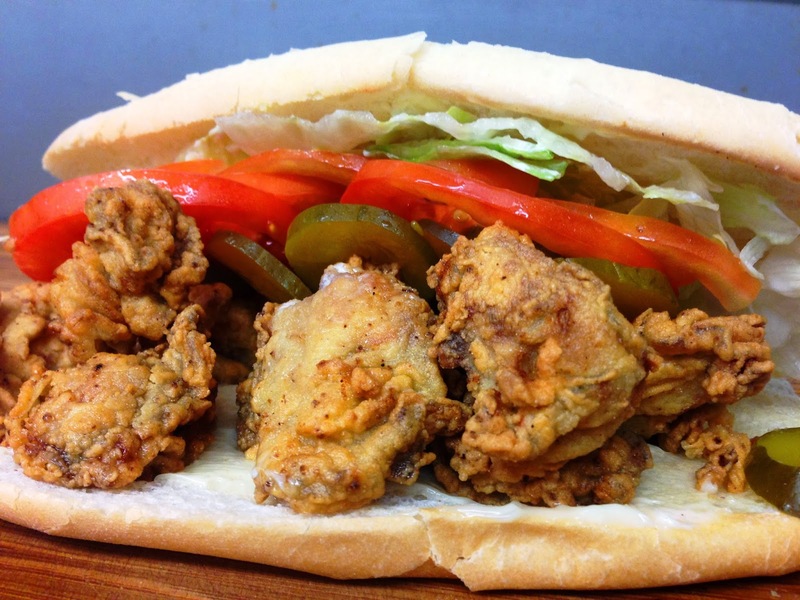 However, there is nothing like fried oysters on a fully dressed poboy. Personally, I think Parrains has some of the best french bread in town. The bread can really make or break it for me when it comes to poboys. 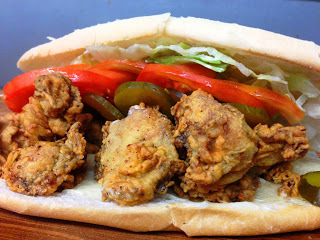 So, by far, they win for best fried oyster poboy in my book. Also, their patio is gorgeous and makes the perfect place to enjoy a nice happy hour. Now, this is a tough one because oysters on the half shell are practically the same anywhere. However, my favorite place for raw oysters is The Chimes, hands down. Every Tuesday from 4-7 p.m. raw oysters at The Chimes are half off. 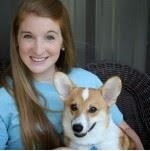 Plus, The Chimes is a Baton Rouge institution. I feel like I practically grew up there. While you&apos;re there you can drink any of their fantastic beers from across the globe. Speaking of institutions, Acme has been a part of the great state of Louisiana for over 100 years. Through that time, they have gotten the chargrilled oyster to a down right science and have become my favorite spot in town for the oyster favorite. Actually, this may be my very favorite way to eat an oyster - If I really really had to pick one. I can eat a dozen by myself. Also, ordering my own dozen tends to keep my stolen oyster accusations to a minimum - which is an all around win for the whole table. So there you have it, my favorite oysters in the city. Now that I know about this "official oyster season" business I have an excuse to eat as much as I can before the season ends! 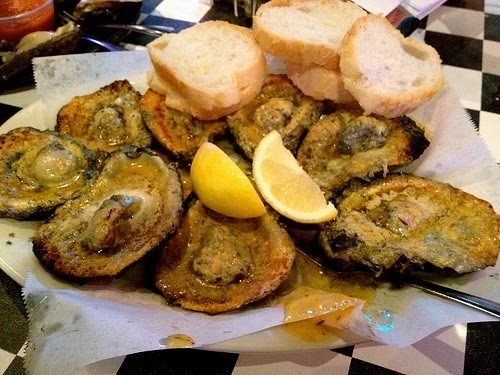 What is your favorite oyster dish in town? Share it with us in the comments!